Prostate tumors tend to be what scientists call “indolent” — so slow-growing and self-contained that many affected men die with prostate cancer, not of it. 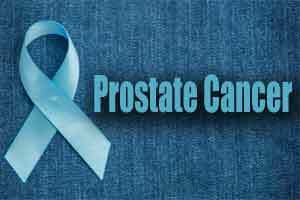 But for the percentage of men whose prostate tumors metastasize, the disease is invariably fatal. In a set of papers out today in the journals Nature Genetics and Nature Communications, researchers at the Cancer Center at Beth Israel Deaconess Medical Center (BIDMC) shed new light on the genetic mechanisms that promote metastasis in the mouse model and also implicated the typical Western high-fat diet as a key environmental factor driving metastasis. “Although it is widely postulated that a Western diet can promote prostate cancer progression, direct evidence supporting a strong association between dietary lipids and prostate cancer has been lacking,” said first author Ming Chen, PhD, a research fellow in the laboratory of Pier Paolo Pandolfi, MD, PhD, Director of the Cancer Center and Cancer Research Institute at BIDMC. When they compared the two types of tumor — the localized ones lacking only the PTEN gene versus the metastatic tumors lacking both genes — the researchers found that the metastatic tumors produced huge amounts of lipids, or fats. In tumors that lacked both PTEN and PML tumor suppressing genes, the cells’ fat-production machinery was running amok. “It was as though we’d found the tumors’ lipogenic, or fat production, switch,” said Pandolfi. “The implication is, if there’s a switch, maybe there’s a drug with which we can block this switch and maybe we can prevent metastasis or even cure metastatic prostate cancer,” he added. In addition to opening the door to new treatment for metastatic prostate cancer, these findings also helped solve a long-standing scientific puzzle. For years, researchers had difficulty modeling metastatic prostate cancer in mice, making it hard to study the disease in the lab. Some speculated that mice simply weren’t a good model for this particular disease. But the lipid production finding raised a question in Pandolfi’s mind. “I asked, ‘What do our mice eat? '” Pandolfi recalled. It turned out, the mice ate a vegetable-based chow — essentially a low-fat vegan diet that bore little resemblance to that of the average American male. When Pandolfi and colleagues increased the levels of saturated fats — the kind found in fast food cheeseburgers and fries — in the animals’ diet, the mice developed aggressive, metastatic tumors. “The data are tremendously actionable, and they surely will convince you to change your lifestyle,” Pandolfi said. In addition to Pandolfi and Chen, study authors include, Katia Sampier, John G Clohessy, Lourdes Mendez, Enrique Gonzalez-Billalabeitia, Xue-Song Liu, Yu-Ru Lee, Jacqueline Fung, Jesse M. Katon, Archita Venugopal Menon, Kaitlyn A. Webster, Christopher Ng, Maria Dilia Palumbieri, Moussa S. Diolombi, Susanne B. Breitkopf, and John M. Asara, all of BIDMC; Roderick T. Bronson of Harvard Medical School; Jiangwen Zhang of the University of Hong Kong; Julie Teruya-Feldstein, of Memorial Sloan-Kettering Cancer Center; Sabina Signoretti of Brigham and Women’s Hospital; and Mireia Castillo-Martin and Carlos Cordon Cardo of Icahn School of Medicine.